It’s Arthritis Awareness Month! This month I am challenging you to take a little time each day and practice better self-care. Each day I plan to share one simple way you can show yourself some love and appreciation. Hold Hands. On my worst days, gently holding my husband’s hand makes everything in world seem okay again. I don’t need it for long, just enough time to calm my mind and let the warmth of his hand find my heart. It’s a wonderful feeling that will stay with me the rest of the day. At LifeHacks, Dejan Kvrgic shares a post on Study Discovers 7 Surprising Benefits of Holding Hands. 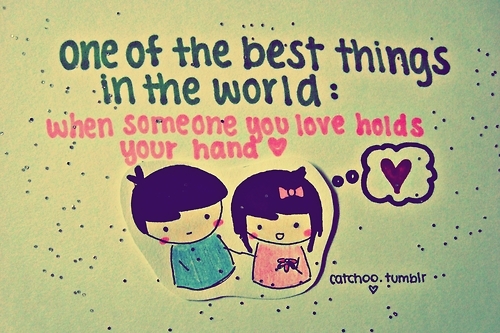 According to this post, holding hands relieves stress and pain, plus gives us a sense of security. What a great way to be good to yourself.